The Russell Hotel has 10 bedrooms, some with superb panoramic views across St Andrews Bay, over to 'The Links' and The Angus coast beyond. 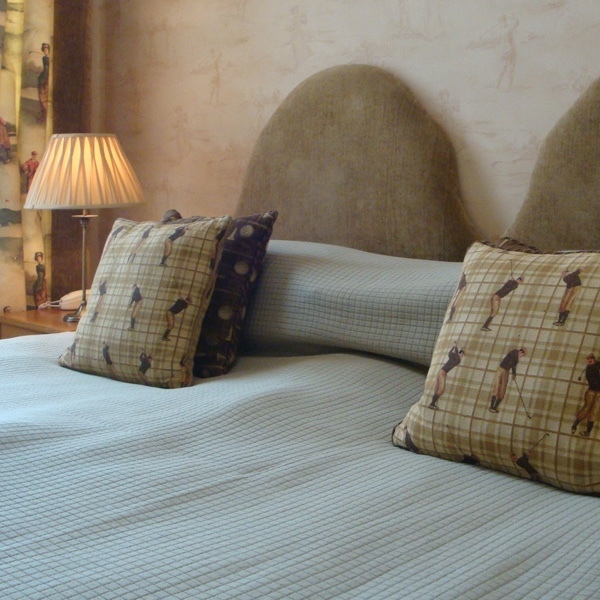 All rooms are individually decorated with co-ordinating fabrics and soft furnishings, creating a relaxing atmosphere in warm and comfortable surroundings. Each room has full en-suite facilities with free guest wifi, hairdryer, telephone, flat screen TV and radio/alarm/cd player. Iron and ironing board facilities and allergen pillow and duvet are available upon request. Also included complimentary Brodies tea and coffee with Scottish shortbread. 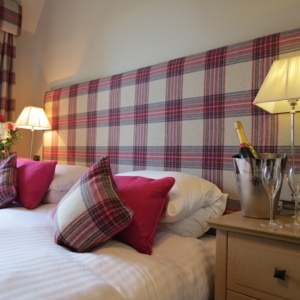 Rates are per room per night based on two people sharing a room and include locally sourced full Scottish cooked breakfaSt Rates are available upon request for single occupancy. Whichever room you choose at The Russell Hotel, you will be ‘Rest Assured’. Our four St Andrews Bay Rooms are Scottish influenced and each have their own characteristics. They can be set up with either Superking or Twin Beds. 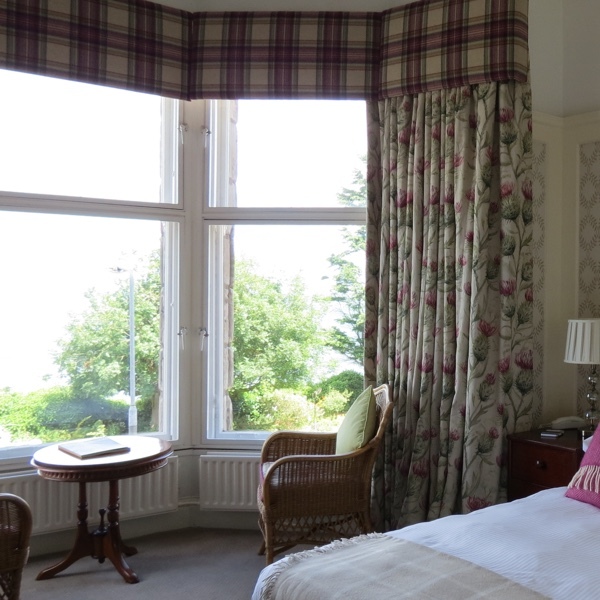 The picture windows flood the rooms with natural light, offering superb panoramic views across St Andrews Bay, the Angus coast and the mystical green links. The Classic Rooms look down over the sandstone buildings of Murray Park and they can be set up with either Superking or Twin Beds. These individually styled rooms are cosy and welcoming with stylish fabrics and like our St Andrews Bay Rooms, soft plump duvets and pillows await. Our two ‘Wee Classics’ are just a slightly smaller version of our classic rooms, but ideal for the short stay traveller, or if you’re on a budget. Again the rooms can be set up with Superking or Twin Beds.